Harwood Tri Aero Scoop Plug 8.25" x 7.25"
Keep debris from getting into your engine with one of these Harwood Hood Scoop Plugs. Each hood scoop plug is made from high quality tear-resistant foam and plastic. 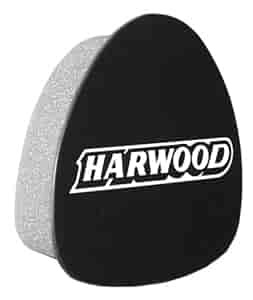 They also have the Harwood logo prominently featured in bold white lettering on the scoop plugs face.